Indonesia is known as one of the 4th largest population in the world. Is a country with many nicknames given by various countries to him. You have visited this country like in bali, flores and other places may also agree with the various names mentioned below. Curious about it? let's check these out one by one ! This nickname was given the world to Indonesia because of the geographical position of Indonesia that is crossed by the equator with a very green appearance of nature like Jamrud. This is the nickname embraced by the majapahit kingdom against the Indonesian territory from Sumatra to Papua in the Javanese literature. In addition, Thailand also called Indonesia with the nickname tracing the history of the kingdom of Majapahit first. This nickname refers to the fact that Indonesia's agricultural land is vast with most of the livelihoods of our people as farmers of the Maritime State This nickname refers to the reality of Indonesia's vast waters. 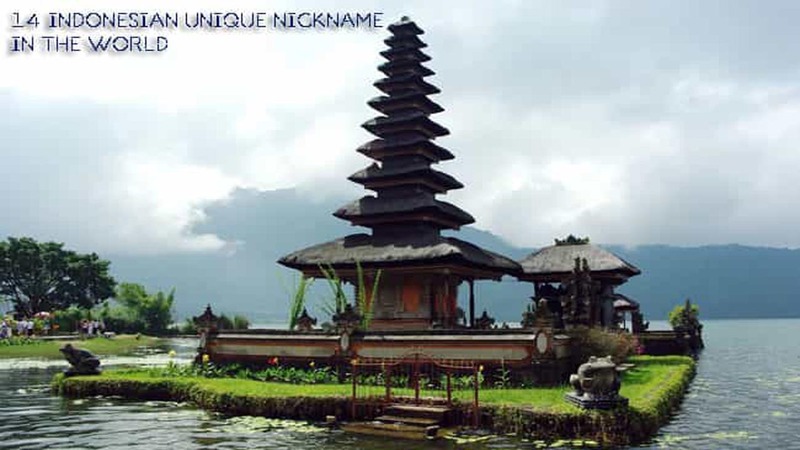 This nickname is pinned because Indonesia is a maritime country that is automatically overgrown by coconut trees. The nickname of a thousand temples world given the world to Indonesia originated from the selection of Borobudur temple as one of the 7 wonders of the world. This nickname is given to see Indonesia consists of thousands of islands at once confirms that Indonesia is an archipelagic country with the largest number of islands in the world. This nickname is given to Indonesia because the world's researchers are amazed at the diversity of flora and fauna that exist including ancient species and rare species in Indonesia such as dragons, black orchids and raflessia arnoldi. This nickname refers to the symbol of the State of Indonesia. This nickname is given to Indonesia because many countries of the world envy with the rich natural wealth of Indonesia with abundant crops and pampering scenery. This is the epitome that people of the world give to Indonesia for their admiration for the quantity of Muslims in Indonesia. The original nickname is the Asian Tiger. but this nickname turned into a sleeping Asian Tiger in the modern era. This is the nickname given by Asian countries to Indonesia because Indonesia is recognized as having the potential to become a superpower. Well, tha't all the unique nickname given by world to Indonesia country. If you have any ideas about Indonesia, please give us a recommendation by filling in the comment box below. Thanks for visiting iweblogsite.